Minnie Gets Her Own Precious Moment! Happy Wednesday, friends! I hope you guys are having a great week so far! Recently, Minnie got a star on the Hollywood Walk of Fame leading to her own precious moment! I love when life gives you moments to look back on and see all of your hard work paying off, just like Minnie and her Walk of Fame star! From style icon, to leading lady, Minnie has led millions of people into following big dreams! One of my favorite Minnie collectable pieces I own is this porcelain You Fill My World With Sunshine Precious Moments. It's sculpted and hand-painted, with really intricate details. If you've ever been to a Disney park and dressed like Minnie for any reason like a Mickey's Not So Scary Halloween Party, or runDisney event, then this piece is sure to bring back those memories. Every single detail on this Precious Moments piece is perfect, all the way down to the red bows on the girl's shoes, and the perfectly round dots on Minnie's dress. Everyone knows Minnie's favorite color is her iconic red, and Precious Moments has captured that red on the girl's dress, bow, and shoes. This piece is so beautiful and well made, that I know I will be adding more Disney Precious Moments to my collection. 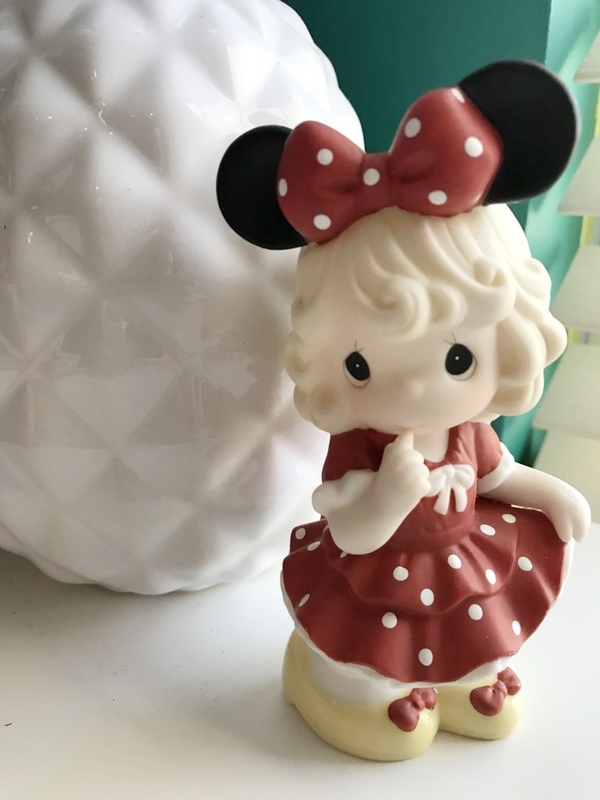 If you're looking for a gift for the Disney lover in your life, then this Minnie Precious Moments is perfect! Mine sits on my desk for a little bit of added Disney flair, and cuteness, but it would also be a great piece for a fireplace mantle, or bookshelf. 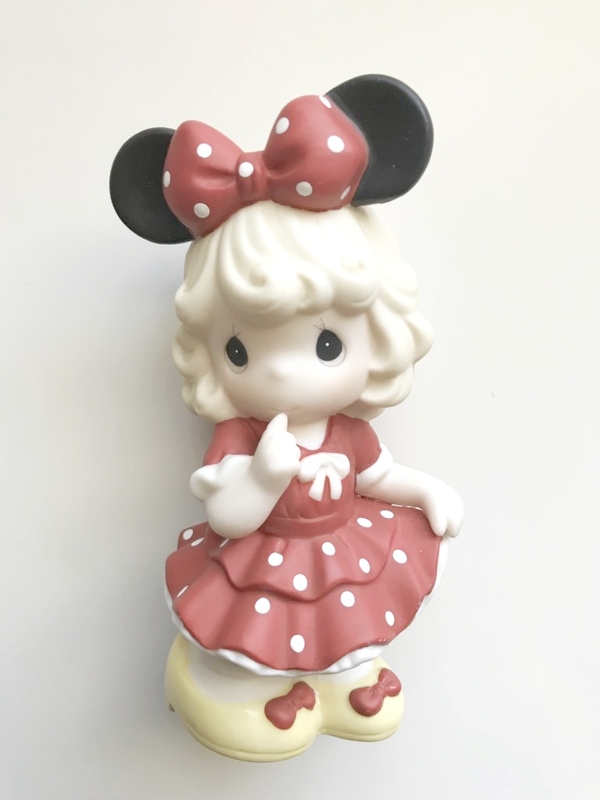 If you're interested in getting a Precious Moments figurine for yourself to celebrate Minnie, or any of life's milestones, you can get them at preciousmoments.com. You can also keep up with the latest releases and news from Precious moments on their Facebook, Instagram, and Pinterest. Well friends, that's it for today! Do you have any of the Disney Precious Moments collection? Let me know which ones in the comments!